An easily navigable, pedestrian-friendly, true mountain village lies in the heart of this affordable, Colorado resort. Located just 75 miles west of Denver, Copper Mountain is a year-round getaway offering a low-key, genuine feeling that is inclusive and comfortable for all. 2,465 acres of naturally divided terrain awaits guests of all abilities at this quintessential Colorado destination. Advanced and expert guests enjoy Copper’s challenging bowls and free snowcat accessed terrain. Generous beginner terrain and award-winning instructors at the Copper Ski & Ride School cater to first-time and novice visitors. Woodward Copper, an unique year-round action sport program, further highlights the mountain experience with terrain park progression focused programming. New for the 14/15 season, Sherpa, Copper’s on-mountain audio intelligence app offers trail recommendations to its users based on skill level. Sherpa gathers users’ previous skiing and riding habits and sends an email to users with terrain recommendations. Great Deal > Reserve your lift tickets, rentals and Tubing Hill sessions in advance online and save up to 42% off window rates. Visit CopperColorado.com to learn about Copper’s latest winter vacation packages. Mountain Dining > The Copper ski experience is truly Colorado, but the dining has a distinctive international flair. Guests will find a large variety of restaurant offerings satisfy the most discriminating culinary adventurer to the pickiest 5 yr old. Enjoy inspired dining at C.B. Grille or a tasty slice at Gustino’s Pizzeria. Last season, JJ’s Rocky Mountain Tavern was voted Copper’s best restaurant and is known for stone oven pizzas and savory BBQ. The Bacon Bloody Mary’s at Jack’s Slopeside Grill and Mondo Nachos at Endo’s Adrenaline Café are also local favorites. Lessons > Kick-start that learning curve, build confidence and enjoy the camaraderie of skiing and riding with others of your ability level. Copper Mountain offers lessons at both the Copper Ski & Ride School and Woodward Copper. Private and group lessons cater to all levels of skiers and snowboarders. Woodward Copper focuses on terrain park and pipe progression, available to anyone 8 years and up comfortable on intermediate and advanced terrain. FYI > Copper features a naturally divided trail system which separates skiers and riders by their ability level. From east to west, Copper’s slopes get progressively more difficult. The gentle terrain that defines the west side of the mountain provides a natural, progressive learning environment, while the east side of the mountain features long, steep runs. Visit Copper’s advanced back bowls for hidden powder stashes. Après Spot > Visit any of Copper’s dining establishments for the perfect ending to any day on the hill. Alternate Day > There’s no shortage of ways to enjoy your vacation at Copper, on or off the slopes. Family-friendly village activities include the Tubing Hill and Critterland snow play area, the West Lake Ice Skating Rink and Alpine Rush Zip Line. Indulge in a massage or facial at the Copper Spa & Athletic Club, or hone your skills at Woodward Copper, Colorado’s only indoor action sports training facility. Copper also offers access to snowmobile tours, dogsledding, and shopping in Frisco. Getting Around > Copper Coach provides FREE and convenient transport to and from all areas of the Copper Community and Summit Stage provides FREE public transportation around Summit County. Directions by Air > Denver International Airport offers non-stop service from most major US cities and many international destinations. Non-stop flights for winter 2015/16 season from Eagle Airport include Atlanta, Chicago, Dallas/Ft. Worth, Denver, Houston, LA, Miami, Minn/St. Paul and New York. 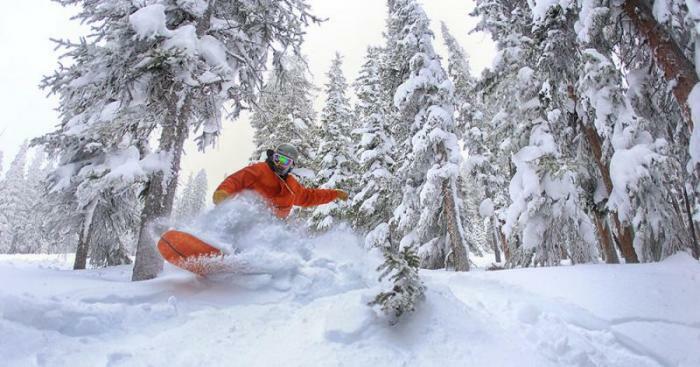 Lodging > All Copper Mountain lodging is steps away from the slopes, bars, shops & restaurants. Visit CopperColorado.com to start planning your vacation.